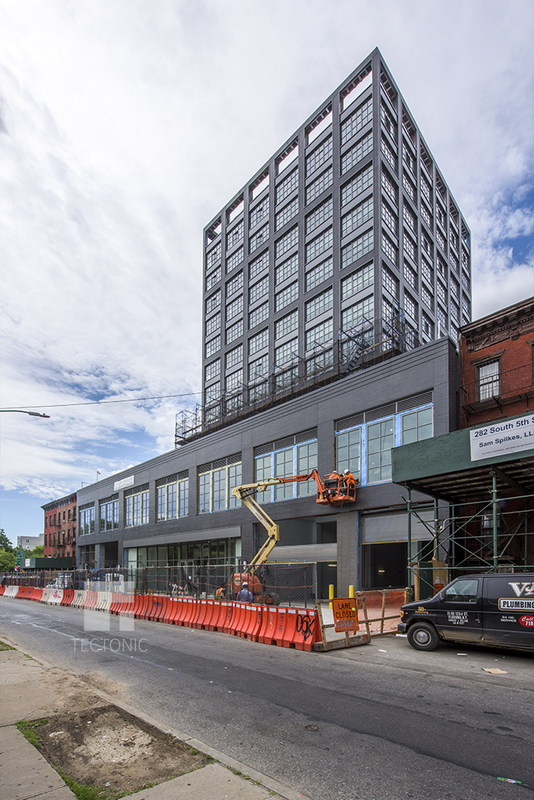 South Williamsburg’s latest upscale rental has emerged from its scaffolding at 282 South 5th Street, and photographer Tectonic recently swung by to give YIMBY shots of the construction progress. 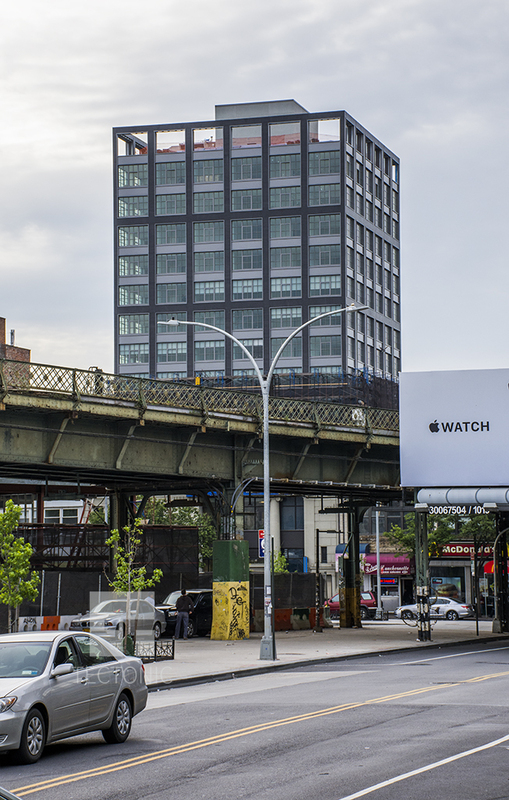 Known as “The Williams,” the boxy tower rose on a lot wedged between the elevated J/M/Z tracks, the BQE, and ramp that links the highway with the Williamsburg Bridge. 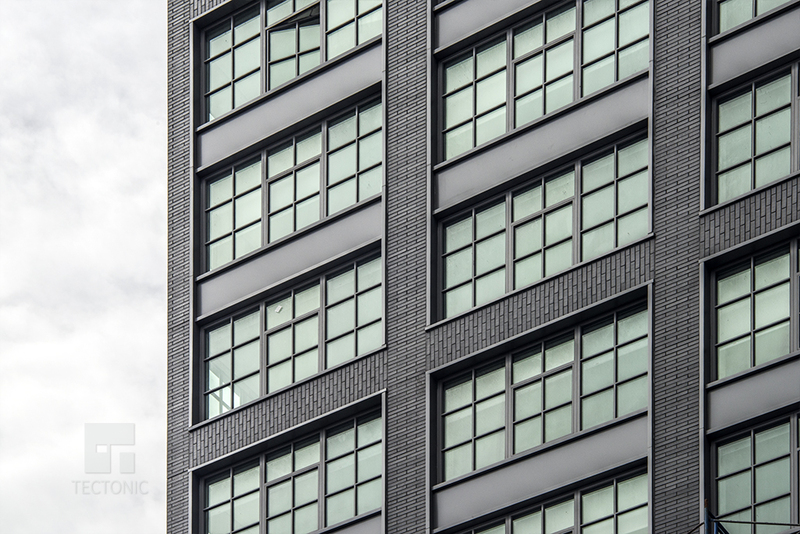 Morris Adjmi designed the building in the modern style we’ve come to expect from the architect, creating a dark, gridded facade with large banks of loft-style windows. However, Goldstein, Hill & West is the architect of record. 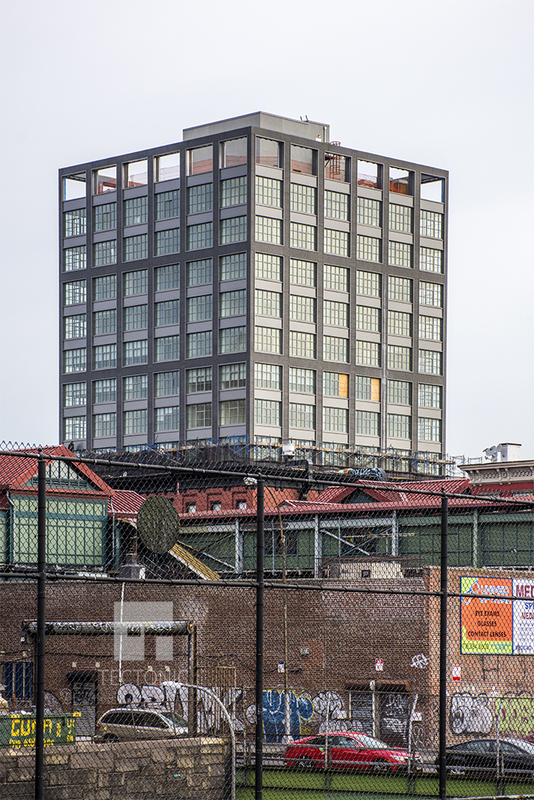 The 13-story building has been in the works for four years. Developer Midwood Investment and Development knocked down an old bakery and confectionery on the site in 2013, and excavation got underway a year later. The finished project will feature 82 apartments across 67,806 square feet of residential space, along with 31,000 square feet of retail and 7,100 square feet of community facilities. A gym will occupy much of two-story base, and the community facilities – likely medical offices – will fill parts of the first and second floors. 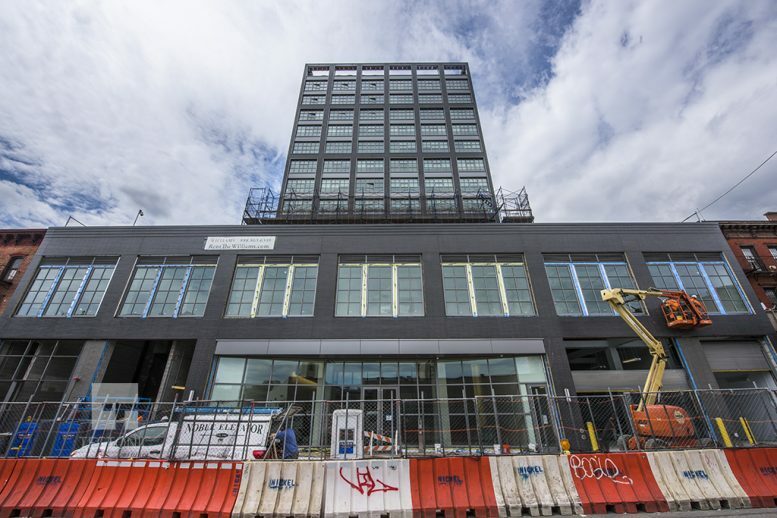 Renters will also have access to some attractive amenities, including a third-floor terrace and lounge, yoga, gym and playrooms in the cellar, and a second roof deck on the top floor. The building will host a 153-car garage in the cellar, which is a ton of parking for a development only a block away from the Marcy Avenue stop on the J/M/Z trains. The gym, or maybe another retail use, appears to have boosted the parking requirements.